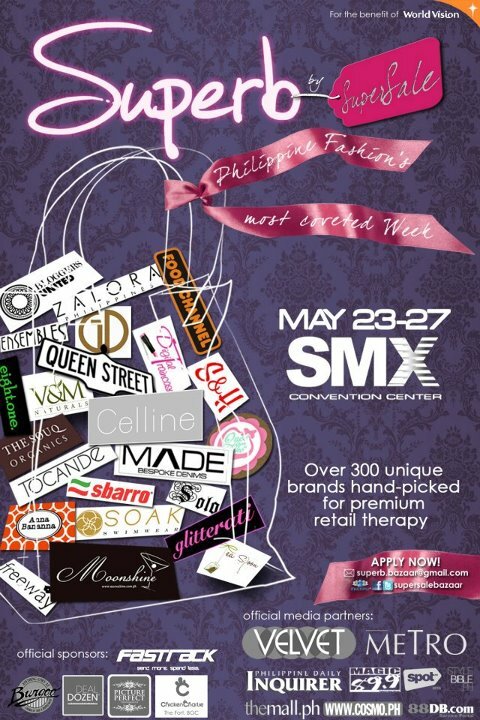 The Superb bazaar is a 5-day event that will be held during Philippine Fashion Week at the SMX Convention Center Hall 4. 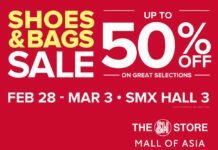 Be prepared to shop till you drop as the bazaar will be a designer’s den, filled with your favorite local designer brands as well as upcoming new labels, offering only the best and freshest looks for you. Some of the brands that will be showcasing their pre-fall and post summer collections are: SOAK swimwear, Celline, Zalora, Solo, Freeway, Ensembles, and a whole lot more! 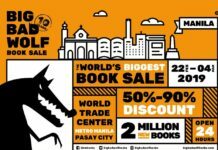 If you are not able to avail of the free entrance deal, entrance to the bazaar is Php 100. 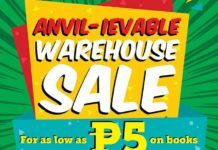 Superb is organized by The SuperSale Bazaar, one of the longest running bazaars in the metro since 2009.